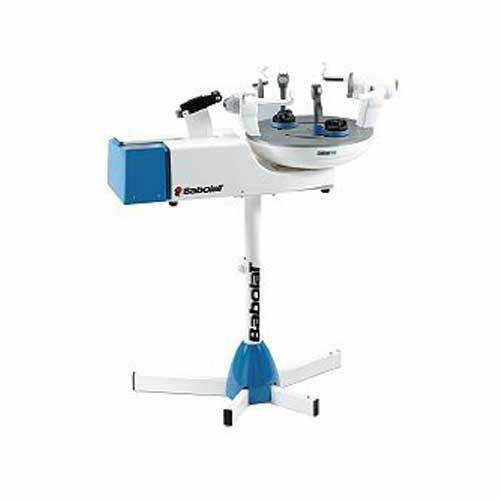 The Babolat Star 5 Stringing Machine has a tensioning system which sets it apart. A built-in prestretch feature lets you pull strings at a higher tension before dropping down to your desired number. The extra initial stretching can help many types of strings, such as polyester and natural gut, hold their tension better over time. The Babolat Star 5 Stringing Machine is very easy to use, too. Just secure the frame in the six-point mounting system and put your finger on a metal sensor (no button-pushing necessary), and the machine starts pulling the string to the desired tension. If something goes wrong with the tensioning system, it can be removed from the machine (unusual for electric stringers) and sent in for repairs. for submitting product review about Babolat Star 5 Stringing Machine.